In the past couple of weeks, something’s changed with 360 cameras. It seems that they’ve reached a point where regular people are aware of them and have accepted them. 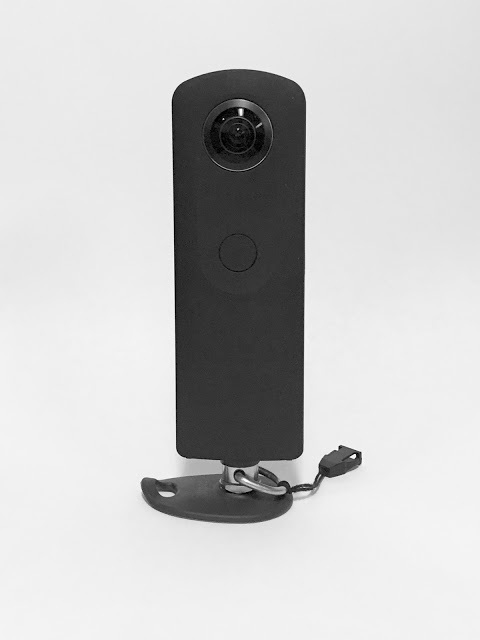 When I was first using the Ricoh Theta a year ago, no one I met had heard of them. There were curious people who thought the Theta was some kind of phone or a sleek new camera. Some of them approached me to ask about it, and I had to explain to them what a 360-degree camera is, then proceed to show them what it looks like on my phone. (A few didn’t understand completely and thought their phone’s panoramic photo mode could do the same thing.) After I explained and showed it to them, almost all people I met thought it was cool, and they were surprised that there was such a camera. On one hand, I was encouraged by the fact that almost all of them were interested in it. On the other hand, I was a little bit discouraged that despite the popularity of the Theta (it was the top selling digital camera for Christmas on Amazon), almost no one knew about it. But I thought there was a silver lining – the Theta managed to sell very well, even with very little awareness of it. How much better would it do, if more people actually knew about it. … When I post a 360 photo to Facebook these days, I no longer get asked, “What manner of sorcery is this?” People just give likes and post comments without even a question about what kind of camera it was. … I met a friend who was visiting from out of town. When I pulled out the Theta, he knew that it was a 360 camera. … There are articles in the mainstream non-technical press about 360 cameras. … We were having dinner at the restaurant yesterday and I took a picture with the Theta. As the attendant brought our food, he asked, “Is that a 360 camera? Cool!” He didn’t seem to be a gadget freak like me either. So I don’t have scientific evidence – only anecdotal evidence that the tide has turned and 360 cameras have become mainstream. If I had to guess, I think there are several things that have happened that built awareness and acceptance of 360 cameras. – First, the interest in VR has continued to grow, with no sign of abatement. As people become interested in VR, they start to consider how they could make their own content for their VR headsets. – Second, there are now several 360 cameras, and more importantly, affordable ones, such as the $199 LG 360 Cam. – Third, 360 photos and videos are being supported by a greater number of devices and platforms. Most critically, Facebook started supporting 360 photos last month. Although Facebook had supported 360 videos for some time, not all people have the equipment to capture or process them easily. 360 photos, on the other hand, are much easier to handle. Of course, 360 cameras are still a rare sight. But I believe that with the introduction of small, inexpensive 360 cameras such as the Insta360 Nano ($199; previewed here) and the Nico 360 ($199), they’ll continue to grow in popularity. Nico360: a tiny, waterproof 360-degree camera with live streaming!